August 19, 2014 New York – Fashion network correspondent, Stefanie Rycraft Jones heads off to Positano for a brand new adventure. Fashion One, the premiere international channel for fashion, entertainment and lifestyle, showcase another interesting Italian destination in Stefanie's Style Diaries: Positano. Based in Campania, Positano is a small commune on Italy's Amalfi coast. In this three part series, Stefanie discovers the beauty of this charming commune famously pegged as a "dream place" by none other than renowned author, John Steinbeck. What was once a quiet simple village is now one of the premiere holiday destinations of celebrities and artists who want a place with a relaxed atmosphere and be a source of inspiration. From luxury hotels, Michelin star restaurants, to quality boutiques, Positano maintains a balance between simple living and sophisticated lifestyle. "I instantly felt the calm vibe of Positano wash over me and fell in love with its natural scenery," Stefanie expressed, "Climbing up the cobbled steps underneath the hanging wisteria was like being inside an old Italian movie set." "We rarely see Positano posted on the streamline travel guides, but its quaintness in beauty is what attracted us to explore the area," admits executive producer, Ashley Jordan, "We look forward in introducing more unique fashionable destinations to our viewers in our original program series." Stefanie's Style Diaries: Positano premieres on September 9, Tuesday at 21:30 (GMT+8 for Asia / GMT+2 for Europe), exclusively on Fashion One and Fashion One HD. Check your cable operators for your local TV channel listing. 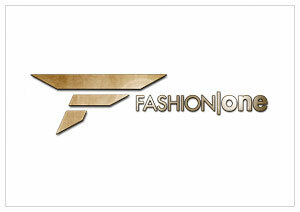 Stefanie's Style Diaries is a Fashion One original programming series. The show is created by executive producers Michael Gleissner and Ashley Jordan, with Lina Daugirdaite as producer. To learn more about Stefanie's Style Diaries and her destinations, please visit www.fashionone.com/stefstylediaries or post your comments on @fashionone #StefStyleDiaries.